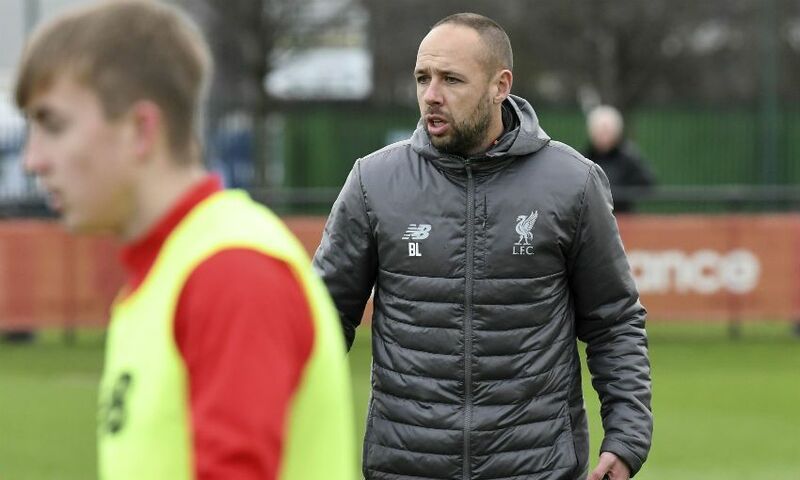 Barry Lewtas believes Liverpool U18s' busy fixture schedule will benefit his players' development. 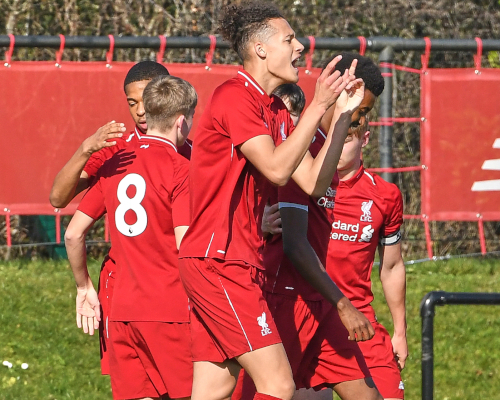 After Wednesday’s 3-1 win over Stoke City took the young Reds top of the U18 Premier League North, they host Blackburn Rovers at the Academy on Saturday before facing Bury in the FA Youth Cup quarter-final four days later. You can watch the game against Blackburn live on LFCTV and LFCTV GO, with our coverage starting at 10.30am GMT. They are a really tough team to play against. We'd played them twice before this season so we knew a bit about what we would be up against. I thought they kept the ball ever so well in the second half and put us under a bit of pressure, but we defended well. We showed a different part of our game and it was a well-fought victory. We have spoken to Rhys a lot about using his strength in the air and he weighed in with another goal. That is important for his development and he needs to keep doing that. I thought we played some really good stuff in the first half. We got in behind them, we got down the sides and caused them a lot of problems. It was really pleasing to get that goal and make it 2-1 because sometimes conceding can knock you a little bit. Credit to the lads when we made it 3-1 because we were under pressure in the end. We spent a bit of time out of possession while still continuing to press forward. It’s nice. I think with any team, if you want to be successful then the goals have to come from everywhere. You need your centre-backs to weigh in from set-pieces and the midfielders need to score as well. 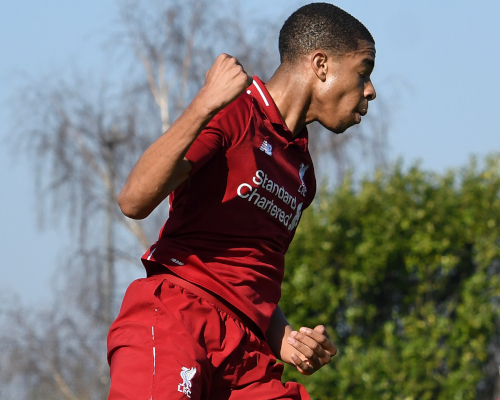 I always say you mustn’t forget some of our team are only 16 to 17-year-old boys. It’s exciting times for all of them, they have progressed quite far in some of the cup competitions, they are in a good place in the league and it just adds maybe a little bit more to each game. It’s good for us and maybe we can make them play a little bit more under pressure, which is what we want. I say it all the time, we want to win games, we want to play well and perform, and push boys up to the U23s. If we can keep doing all of these things then that is working well. We have had a lot of games recently and I’ve been really pleased with the boys. We left it late to beat Blackburn 4-3 earlier in the season. We know we will be in for a tough game against a good team. They like to play football as well so they will come here trying to win, so it’s important we get both parts of our game correct - defensively and offensively. We had a few boys who played ever so well up at Newcastle who took a back seat against Stoke City. I think the boys realise now our schedule is hectic, playing Saturday and Wednesday. That is great because it is those boys who have put us in all of these competitions. What comes with that is an opportunity for others to pick up the baton and carry it on. I’m sure we will make a few changes on Saturday but that excites me. I’ve known Fidel for a while now. He trains well, he performs well and he does things right off the pitch so he is a good role model for the others. He has got the respect of the dressing room and it just shows the depth we have in the group that someone who doesn’t play every week can come in and lead the team. That shows you the character and personalities we have here. He’s had a tough time with injury. He got a run-out at Newcastle last Saturday. He is training again which is good for him and for us, and Luis Longstaff is not far away from returning so it’s really exciting times. We’ll concentrate on Blackburn first but that is obviously in the back of our minds. It’s a prestigious competition and the boys have done ever so well so far because in every game we have played there has been an expectancy for us to win, which does carry a little bit of responsibility as well. We’ve certainly earned our place in the quarter-final, as have Bury, and we are looking forward to it.